was this legendry youngest paternal uncle Sangeetacharya Krishna Chandra Dey residing in the same house, who both loved and pampered little Mana. He received his early education, in a small pre-primary school popularly known as Indu Babur Pathshala. Thereafter he was sent to Scottish Church Collegiate School to complete both his schooling and intermediate studies. He next got admitted to Vidyasagar College for his graduations. From very childhood Manna Dey manifested a keen liking for sports events like wrestling and boxing and excelled in both. 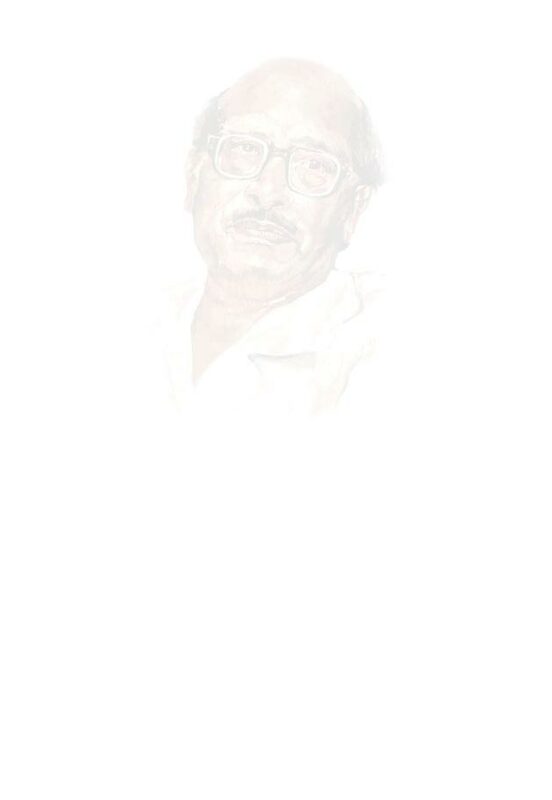 Apart from sports Manna Dey was also renowned for playing pranks upon people. His contemporaries readily acknowledged him as their leader in this field. It was during his intermediate classes at Scottish Church College, Manna Dey’s singing talent became apparent. During the recess beating the tables of the classroom and singing aloud to entertain his compatriots, became a common feature for the budding talent. Later he started taking singing lessons from his uncle Krishna Chandra Dey and from Ustad Dabir Khan. And it was at this period of time Manna Dey stood first for three consecutive years in three different categories of inter-collegiate singing competitions. A star in the realm of Indian music was born. In 1942, Manna Dey accompanied his renowned uncle Krishna Chandra Dey on a visit to Mumbai. And there first under the tutelage of his uncle, then Sachin Dev Burman, Manna Dey started working as a successful assistant music director. Later he also assisted other famous music composers for some time and then decided to work independently. But even while working separately as a music director for different successful Hindi films Manna Dey never stopped taking musical lessons in Hindustani Classical music from two classical stalwarts, Ustad Aman Ali Khan and Ustad Abdul Rahman Khan. Manna Dey started his career in playback singing with the film Tamanna in 1943. The musical score was set by his uncle Krishna Chandra Dey and he had to sing a duet with Suraiya. The song was an instant hit. People across the country loved the song. In 1950, Mashal was the second film where Manna Dey got the opportunity to sing a solo ‘Upar gagan vishal’ and this time the melody was created by Sachin Dev Burman. In 1952, Manna Dey sang both for a Bengali and a Marathi film of the same name and storyline – Amar Bhupali, and established himself as a booming Bengali playback singer. It was on the 18th December 1953, Manna Dey married Sulochana Kumaran from Kerala. Suroma the eldest daughter of this eminent couple was born on 19th October 1956, and on 20th June 1958, Sumita followed. A short list of awards & honour received by him from time to time is given chronologically. 1970 National Film Award Best Male Playback Singer for the Hindi film \"Mere Huzoor\"